I am SO excited for fall. As “basic” as some of these may be, here’s a list of my favorite fall-ism. I adore anything pumpkin spiced. 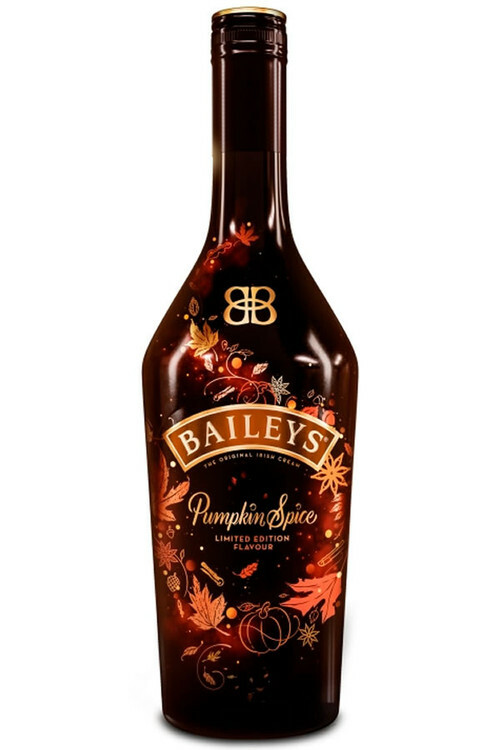 I recently bought Pumpkin Spiced Baileys – it is freakin’ delicious with coffee, chai tea or on ice. It’s available at the BCL for $31.50. Worth it. 2) The changing colors on the trees, the falling leaves and Autumn breeze. How wonderful is the feeling of crunching leaves under your feet, walking through an enchanting ombre forest? I can’t wait to be walking through the magic with Rooney Poo and a coffee (with the baileys above)…. Can life get any better? Although 98% of my wardrobe comes from Thrift Shops or my sister’s closets, I have recently been splurging on a thing or two over at Unity Clothing . I absolutely adore their selection of dresses, sweaters and tops. They are a mix of bohemian-chic with a ton of floral prints and flowy-type pieces. I literally want everything in there! Ask for Heidi when you go to the North Vancouver location. She’ll take great care of you! 4) Red wine by the fire. My absolute favorite place to be is curled up by the fireplace with a good book or my Uke and a nice glass of red wine (LOVING The Passion – 2013 Pinot Noir from Silver Sage). Right now I’m reading The History Of Love by Nicole Krauss. Literally the best holiday. Everyone in the Gavin clan comes together for a big Turkey feast. Potatoes… stuffing… mmm. Honestly speaking, I don’t own a TV, and I don’t have cable. BUT I hear that this is a big deal for some… and I have to say I’m pretty excited for The Bachelor Canada to air (October 11th on the W Network). What are you most looking forward to this fall? ?